Home » Automobiles-Cars » Battle of the Brawn: 2018 Chevrolet Camaro SS vs 2018 Ford Mustang GT! In the last “episode”, we have taken a look at the latest 2018 Ford Mustang. 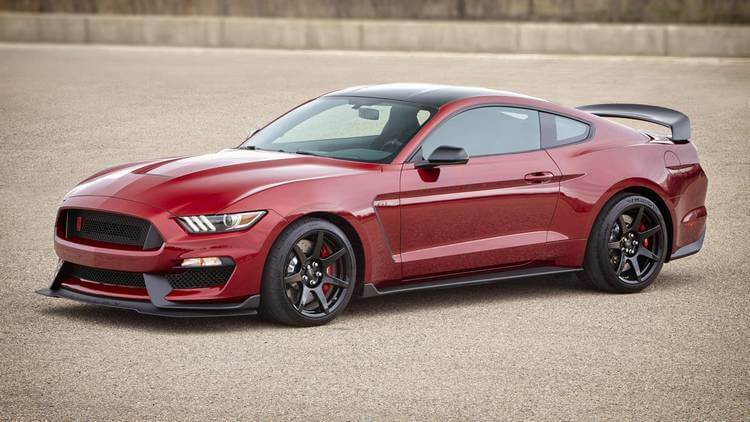 The Ford’s pony car this time has an all-rounded updates and it is great! However, the big question still remains: Can it compete with other prominent contenders, specifically Chevrolet Camaro? As we know, Chevrolet Camaro and Ford Mustang have been at “war” for years. 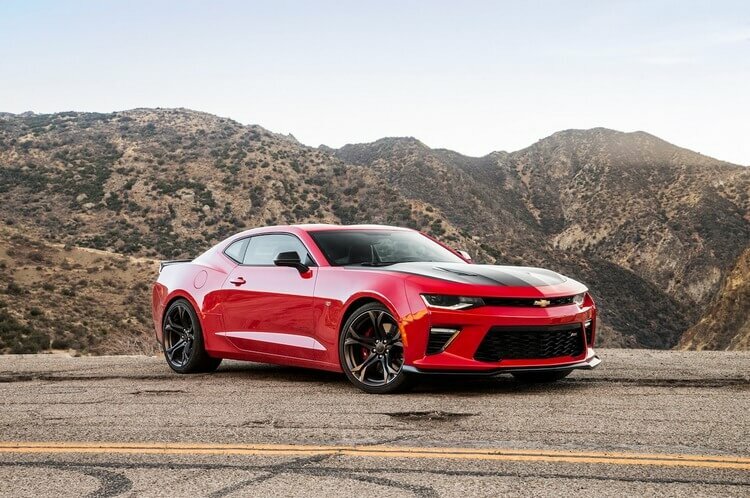 And at the moment, Chevrolet Camaro seems to have an upper hand as it achieved a number of successes, including being Motor Trend’s Car of the Year 2016, or being among the Top 10 Best Cars of 2018 by Car and Driver. But how does their battle fare this time? It’s time to check out! 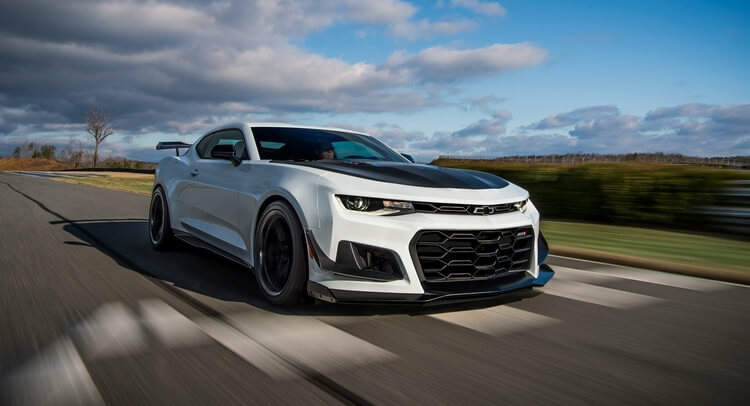 In order to make this battle a worthy fight, 2018 Chevrolet Camaro SS 1LE (with 6.2-litre V-8 engine) and 2018 Ford Mustang GT Performance Pack 1 (with 5.0-litre V8 engine) were chosen. So, what are these two might pony cars? Chevrolet Camaro has always been a heavy competitor in muscle cars/pony cars market since 1966. For many years, the Camaro has been constantly trading blows with the Mustang even now. And in this 6th generation, the mighty horse of Chevrolet seems to have upper hand comparing to Ford’s. 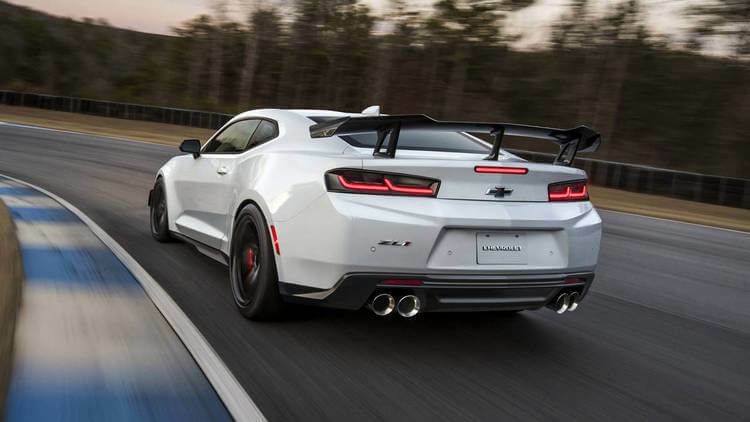 As we mentioned, Chevrolet Camaro has achieved quite a number of successes, making it among the top choices for muscle car enthusiasts including the recently 2018 Chevrolet Camaro. So how powerful is 2018 Chevrolet Camaro SS 1LE specifically? The Camaro SS 1LE equips with 6.2-litre V-8 engine which gives the car 455 horsepower and 455 lb-ft of torque. It can reach from 0 to 60 mph within 4.0 sec and the top speed of approximately 165 mph. Right off the bat, the Camaro SS already provides an incredible driving experience and its handling is extremely satisfying even on track. Then, we have the 1LE Performance Package featuring Magnetic Ride Control, Brembo brakes, GM’s trick eLSD rear-end and five levels of Performance Traction Management (aka PTM), and Goodyear Eagle F1 Supercar 3 tires. 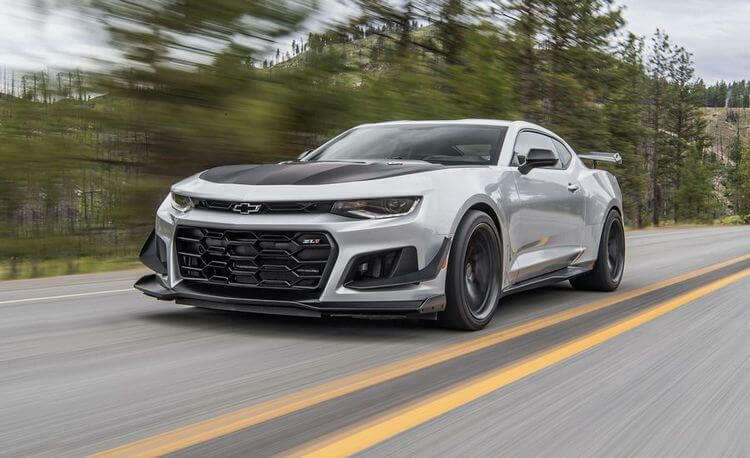 Suffice to say, this 1LE package even pushes this satisfying performance further, featuring aerodynamics add-ons which enhance the downforce, suspension tuning, wider and stickier tires, and more… With the already-excellent Camaro SS combining with the 1LE performance package, no wonder the 2018 Chevrolet Camaro SS 1LE was highly considered. Back to 1964, the very first Ford Mustang was created to be an affordable, compact, yet still highly styled and sporty car. It was the one founded a new segment called as “pony car”, which attracted many other competitors including Chevrolet. As mentioned, Ford Mustang and Chevrolet Camaro have always been in tied spots for years. However, in this current 6th generation, Ford Mustang seems to lose a bit punch compared to the Chevrolet Camaro. But that is not to say that Ford Mustang has lost its edge. 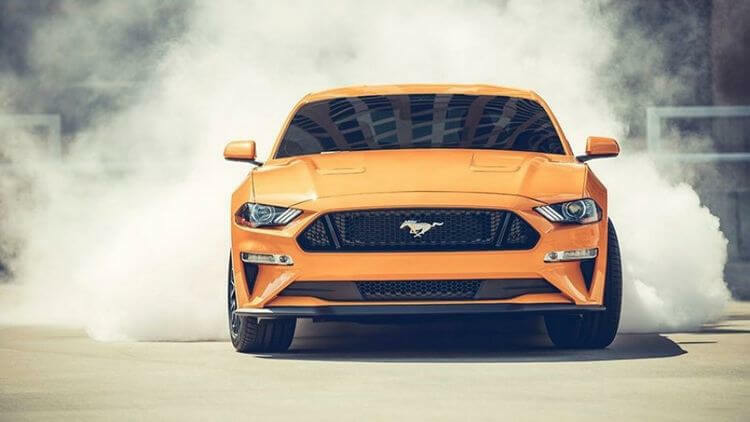 As 2018 Ford Mustang has proven itself to be an all-rounded, powerful pony car with its own firepower. For this fight, we have 2018 Ford Mustang GT enhanced with Ford’s Performance Pack 1. The Mustang GT itself equipped with the 5.0-litre V-8 engine which provides 460 horsepower and 420 lb-ft of torque. With its best setup, the Mustang GT get from 0 to 60 mph within 3.9 sec and can reach the top speed of 160 mph. 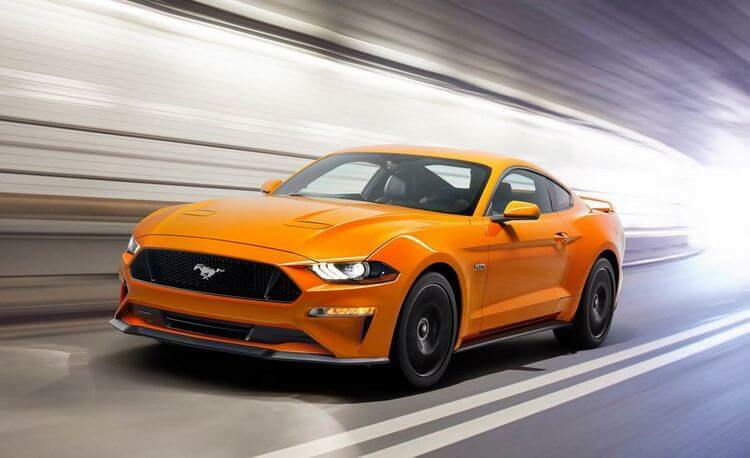 To even things out, the Mustang GT got new enhancements including the MagneRide dampers and Ford’s Performance Pack 1 including chassis bracing and recalibration, 6-piston Brembo, Torsen rear-end, new rear wing, sportier electronic, dual-mode exhausts, new Michelin Pilot Sport 4S tires. These additional packages give the Ford Mustang GT such a huge boost that we feel like it will never be the same without them. And since Ford’s Performance Pack 2 has not come out yet, for now let’s stick with the Pack 1. So with all the information overview out of our way, it’s time to put these two ponies on battle, a real battle! In terms of raw power, who will be victorious? 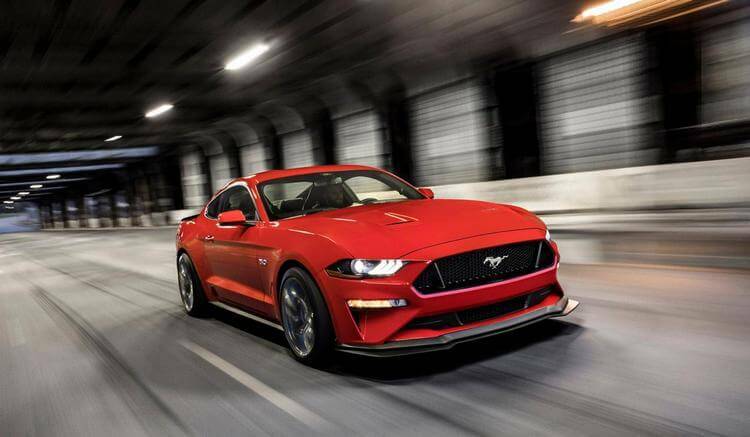 For 2018 Ford Mustang GT, it has 5.0-litre V-8 engine with 460 horsepower and 420 lb-ft of torque. On the other hand, 2018 Chevrolet Camaro SS uses a 6.2-litre V-8 engine with equally 455 horsepower and 455 lb-ft of torque. Both use 6-speed manual transmission. By the look of it, the 2 cars may seem to be equal in power. But in reality, the result has proven otherwise: At the beginning, both cars are in close match. From o to 40 mph, the Mustang GT seems to have an upper hand. And then when passing the 40 mph figure, the Camaro SS gets slightly ahead, but still, a close match. However, thing changed dramatically after 100 mph. Once got its grip, the Mustang GT starts to blast the road and take down the Camaro SS quite easily. In terms of sound, 2018 Ford Mustang GT is still in dominance here. Although both Mustang GT and Camaro SS sound good, Mustang GT sounds much more impressive, louder, and more powerful. Even in Normal Mode, the sound is still so… loud. Unless you want your neighbor to have a different look on his face at 6 AM, you probably want to start the engine in Quiet Mode (provided that you got the optional active exhaust system). So does that mean 2018 Ford Mustang GT is the winner? Of course not! Power is one thing, but if there is other element we have to consider when 2 pony cars clash with each other, it is ride and handling. One interesting part about 2018 Ford Mustang GT is its high revs. Needless to say it is extremely fun to play with. However, the car has a peculiar delay. Somehow when turning the wheel, it is really hard to sense what’s going on. There is almost no feedback, which make us feel kind of… unsatisfied? Only after a short while that we sense the results. It is like… the Mustang GT is a car which requires a learning curve. At first, it will be difficult to get a grasp of it. But once we get patient about it, everything starts to click. We gradually feel how good it will be when riding the Mustang GT. The more we drive the car, the more comfortable and satisfying it will feel. Otherwise, the Mustang GT has a solid quality in overall. It may have a bit of oversteer when powering out, but still, it is in good control since the car has nice control stability. The brake… we cannot say it is excellent, yet decently firm. Overall, driving the 2018 Ford Mustang GT on street is a pretty pleasant experience. So how about the 2018 Chevrolet Camaro SS 1LE? Well on the contrary in fact, the Camaro SS feels immediately incredible right from the start to the end. Its acceleration feels good, its steering feels good, and it has great and quick grip which feels even more extraordinary on road. The rear moves enough while not sliding around. The Camaro SS 1LE does include lots of high technologies but that does not this is a brain-dead pony. As the matter of fact, it feels right as it let driver doing whatever they want to. Overall, its handling feels so outstanding and much more driver focused than the Mustang GT. When putting on track, the difference between the two starts to become even clearer. According to Randy Pobst, despite being comfortable and having good balance between grip and power, it is still far behind the Camaro SS. It has too much body roll, which means it has much less control than the Camaro SS. In addition, when putting in the condition when the car needs to pull out a series of actions within short periods, it feels too soft. As the results, the Mustang GT unfortunately becomes much lackluster. On the other hand, the excellent riding nature of the Camaro SS truly nails the track. It gets the flow, it responses instantly, giving us precise feel. The balance here is almost perfect especially at the corner entry. This incredible experience definitely demonstrates better on track. Therefore, it leads us to sense that the Chevrolet Camaro SS is more track focused, while the Ford Mustang GT is more about comfort. And that means in terms of ride and handling experience especially in track, the Chevrolet Camaro SS emerges victorious. When it comes to exterior design, it is better for you guys to decide. Both possess their own unique styling. However, personally we would go for 2018 Chevrolet Camaro SS in terms of aesthetic since the Ford Mustang GT looks kind of a bit generic this time. Now, first let’s get inside the 2018 Ford Mustang GT. There are a number of little detail changes here but the best part is definitely the optional 12.4-inch digital instrument cluster. It looks extremely cool, typically when the parameter changes after switching between different drive modes. Besides that, the overall design looks pretty intriguing with leather appeal and modern elements. The interior feels more open air, which is a good thing given the aim of focusing on comfort. The view is also great, arguably better than the Camaro SS. 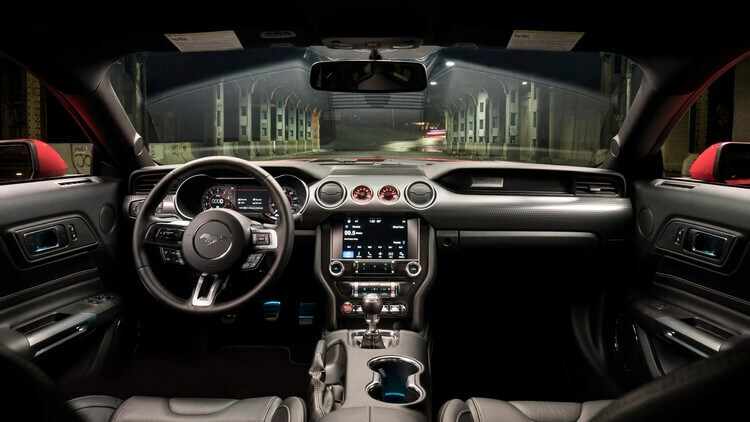 Moving to the 2018 Chevrolet Camaro SS, its interior also looks great with nice layout. It still retains the essence of a Camaro which looks really nice. Other than that, everything else is quite easy to use. That said, one main flaw which still remains is the obscured visibility. Also, there are vents located at the center, near the knuckles and so the air will flow directly to our arms. This is not necessarily a flaw but certain drivers may not keen on it. So in overall, we can say the battle between 2018 Chevrolet Camaro SS 1LE and 2018 Ford Mustang GT Performance Pack 1 is quite a close match. Both ponies feel really good to drive on road. The Mustang GT gives us more raw power, more satisfying roar (and louder too), while the Chevrolet Camaro SS’s performance is outstanding. Now that is not to say Mustang GT’s performance is bad, it is good actually. But in comparison to the Camaro SS, the Camaro feels much quicker, faster while the Mustang GT is more like about pleasant ride. This difference shows even clearer when putting the two on track. Camaro SS’s performance is no doubt on top here, so good that it feels focused on track. On the other hand, Mustang GT has a harder time. Since the Mustang seems to be more about comfort, it will be pleasant choice for daily drive purpose. Yet nonetheless in terms of ride and handling, we have to give 2018 Chevrolet Camaro SS 1LE a higher score. Of course, we are likely to have a rematch between 2018 Chevrolet Camaro SS vs 2018 Ford Mustang GT when Ford’s Performance Pack 2 comes out but for now, stay tune for more news in the future! Pingback: A 2018 Aston Martin Vantage Review: Will It Triumph Victory? Pingback: The Top 20 Concept Cars For The Future of 2020s!